You will find information about our exciting curriculum and photos of our adventures. Miss Kennett supports in class every morning. Ms Kennerdale and Miss Ellis support in class every afternoon. 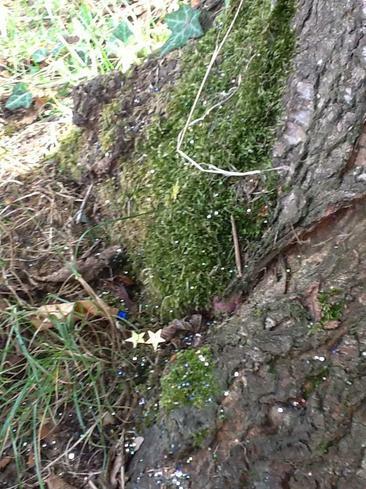 In class 1 this term we have been enjoying the topic called "The Enchanted Woodland". We have done some exploring in our school Woodland area and collected lots of woodland things. 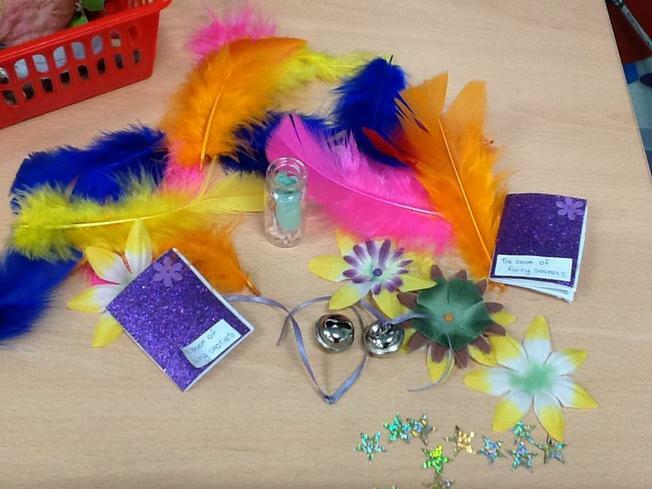 To our surprise we found some unexpected items...We found some Fairy dust and some sparkly stars as well as some Fairy books and brightly coloured feathers. 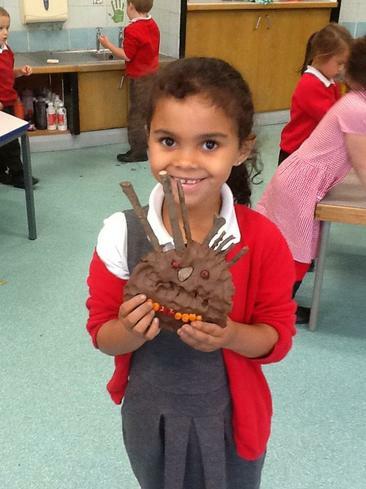 We have made "Boggart" clay faces using clay and natural materials. The children had a lovely time making Fairy crowns and sculptures of clay animals. We also did some writing about woodland animals.